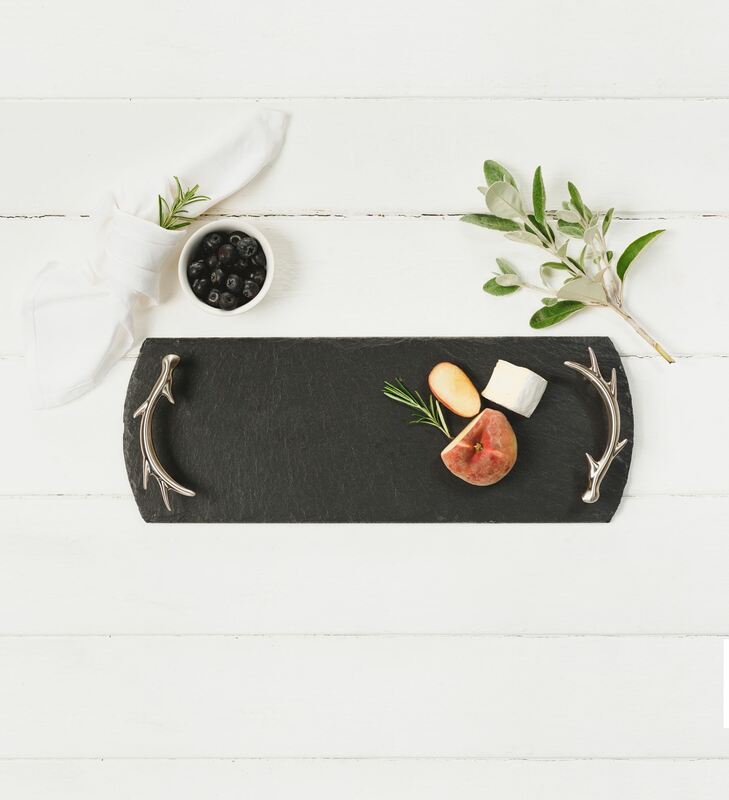 Present your favourite appetisers on our stylish engraved stag serving tray with striking stainless steel antler shaped handles. Hand cut in Scotland from high quality slate, it is not only extremely durable but has a versatile functionality and natural contemporary elegance. Ideal for serving a selection of cheese, meats and crackers, your favourite canapés or a selection of nibbles in style.